What impact and effects do Jewish summer camps have on their participants? Sending one’s children to Jewish camp is a deeply embedded tradition among North American Jews. 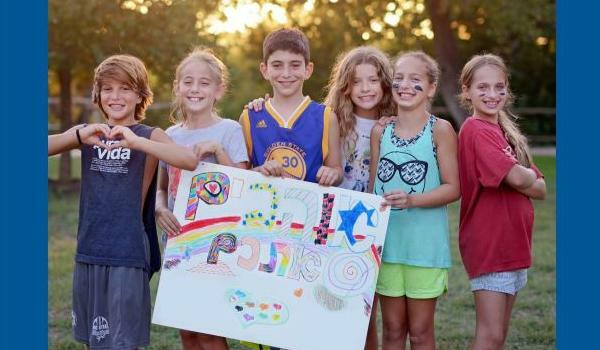 More than 20,000 children attend Jewish camp for the first time each year, and more than 300 traditional and specialty overnight camps exist in the United States; all seek to instill Jewish values and culture in young people through time-honored camp activities. Though we have seen that children with quality Jewish camp experiences are more likely as adults to value their Jewish identity, engage in their communities, and support Jewish causes, we are not certain about the causes and sources of these outcomes. 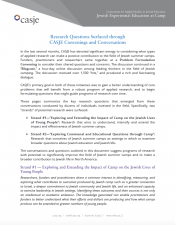 In partnership with the Foundation for Jewish Camp, CASJE explored how research can best be used to advance the field of experiential education at camp and understand the impact of camp on the Jewish lives of campers and counselors. 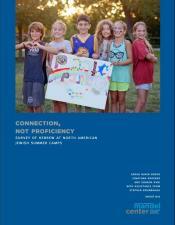 With the support of The AVI CHAI Foundation, CASJE developed a preliminary framework for identifying camp outcomes. 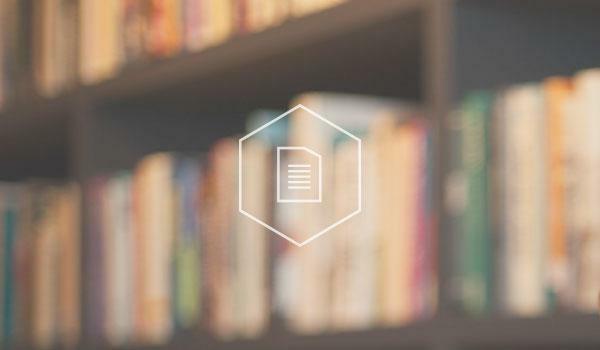 The great opportunity that educationally-minded Jewish summer camps provide is a platform for cultivating and developing new generations of practitioners, stakeholders, and researchers of Jewish education. The experimental nature of camp and, as others have noted, its inherent liminality and ingrained status as being countercultural, makes it a setting ripe for empowerment. We should aim to create laboratory camps, institutions that think of themselves consciously as educational for both campers and staff and that invite cohorts of prospective and seasoned educators to learn, observe, and play within them.